Some people wake up every morning thinking of numbers. They love numbers, figures, calculations, and metrics. They cherish what the numbers tell them about operational performance, employee or call center agent efficiency, and other business functions. To them, numbers make the world go round. Other people don’t like quantitative figures quite as much. They recognize the importance of metrics and analysis; they simply would prefer to spend their time managing people rather than data reports. For them, people, not numbers, make the world pivot on its axis. Fortunately, modern call center technology like TCN’s satisfies both sets of people. The cloud-based call center platform provides in-depth agent metrics that can be dug into. It shares said information via intuitive dashboards that can be easily customized and grasped immediately by the most savvy data analyst or the newcomer to the metrics arena. In delivering both detailed numbers and ease of use, TCN’s platform will cause your contact center to improve and grow. Everyone has access to the numbers. More importantly, they understand how those numbers translate to real-world impacts such as enhanced operations, increased customer satisfaction, and higher first-call resolution (FCR) rates. But hang on. Positive results can happen through agent metrics and analysis, but only if you define agent metrics first. Every call center is different, meaning it requires differing metrics for success. Your call center, for example, may live and breathe by the FCR rate. Another relies on commitments to pay. While the two call centers likely overlap on some standard call center agent metrics, you want to account for the ones most important to the lifeblood of your business. Those metrics state if the call center is growing, stagnant, or dying. By giving attention to both the good and the bad number sets, you ensure the organization and its agents stay on the right track and targets. You can manipulate numbers into saying almost anything. Some people do that manipulation purposely and maliciously. Others accomplish it accidentally. They lack the necessary data analysis skills and consequently miss needed information and insights. To avoid the latter scenario, as well as to identify ne’er-do-well analysts, you should prioritize accurate handling and analysis of data. The first step arises through cleaning up your data. Gather it within a single platform and comb it for irregularities, inconsistencies, and repetitiveness. Your analytics will only ever be as good as the data used, so spend time on this step, as much of it as you need. The second step occurs through letting the data speak. It has a story to tell but only if you’re willing and ready to listen to it. Look at the numbers. Develop hypotheses for how one set of numbers affects another, then run small-scale tests. Assess whether your assumptions are correct and, if they are, roll out changes across the call center. Once you determine agent metrics and develop best practices for collecting and analyzing data, remember to continually refine and repeat your analyses. What works today and next month may not work next year. Customers’ preferences change, as do agents’. If you’re regularly visiting the numbers, those shifts will never catch you unaware. You can tell change is coming because of the way the numbers are acting. Keep a watchful eye on the figures and make plans for how to respond. It might be time to add an online chatbot, text messages, or other multi-channel communications to keep agents and customers happy. Don’t be afraid of those alterations. They won’t put your call center out of business as long as you remain aware of the numbers and develop responses to and action plans for them. And you’ll do that because the numbers, whether you love or hate them, show the way toward increased profitably and growth. Want to learn more about TCN’s cloud-based call center platform? Request a demo today. Darrin is the Chief Operating Officer at TCN Inc., a leading provider of cloud-based call center technology for enterprises, contact centers, BPOs and collection agencies worldwide. Within this role, Darrin is responsible for overseeing all business operations, establishing best practices across sales and account management teams and driving execution. With more than 17 years of experience in the IT and software industry, Darrin has a proven track record of building and mentoring high performing teams, increasing capital, creating strategic plans and implementing organizational structure. 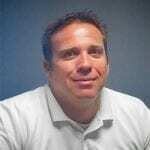 Darrin began his career as a Certified Public Accountant (CPA) through the California Board of Accountancy. He received his bacheloräó»s degree in accounting and finance from Brigham Young University. A family man that enjoys spending time with loved ones and participating in outdoor recreation, Darrin is also very involved in philanthropic activities such as working to mentor youth in his community.